The Emmys Awards are once again in the history books and while One Life To Live along with many other of the ten daytime dramas were totally shut out from the acting nominations, a small contingent from the show did attend the evenings festivities at Radio City Music Hall in NYC on Friday May 18th. 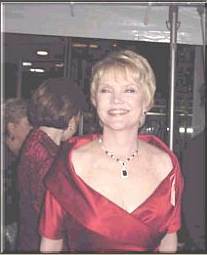 P>The highlight of the evening for this OLTL fan was seeing Erika Slezak presenting the award for "Best Actor In A Daytime Drama" to the very deserving David Canary. David's portrayal of Adam and Stuart Chandler was and is indeed one of Daytime's Best and truly deserved this recognition. With this year's win, Canary became the most honored performer in the Lead Actor category in Daytime Emmy history. 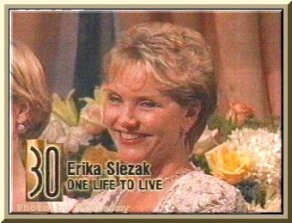 Ironically, the woman who presented him with this year's Emmy, One Life to Live's Erika Slezak (Viki)had five wins of her own in the Lead Actress field and is the most honored performer in the Lead Actress category in Daytime Emmy history. David now joins Erika in that elite group of two who have 5 times received an Emmy for their roles as Best Actor/Actress In A Daytime Drama. 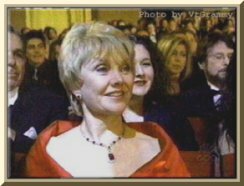 Erika was also honored in a montage of Anniversary milestones for her 30 years in daytime.